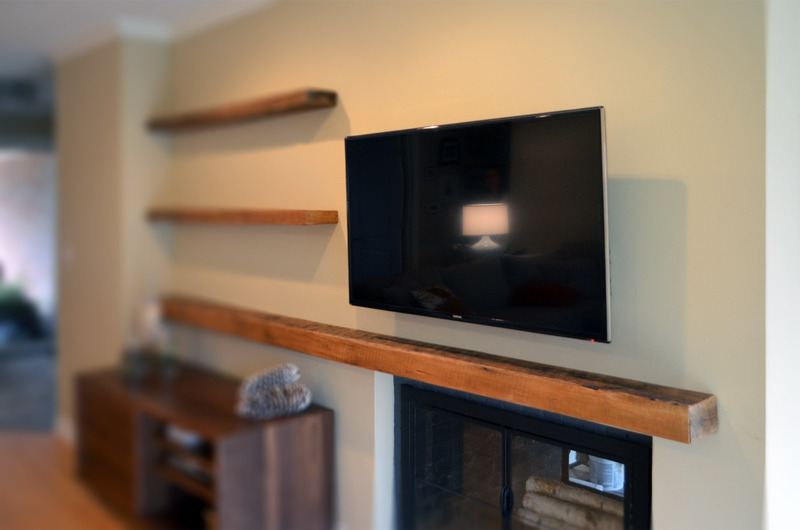 Reclaimed rustic barn wood was used to make these floating shelves. 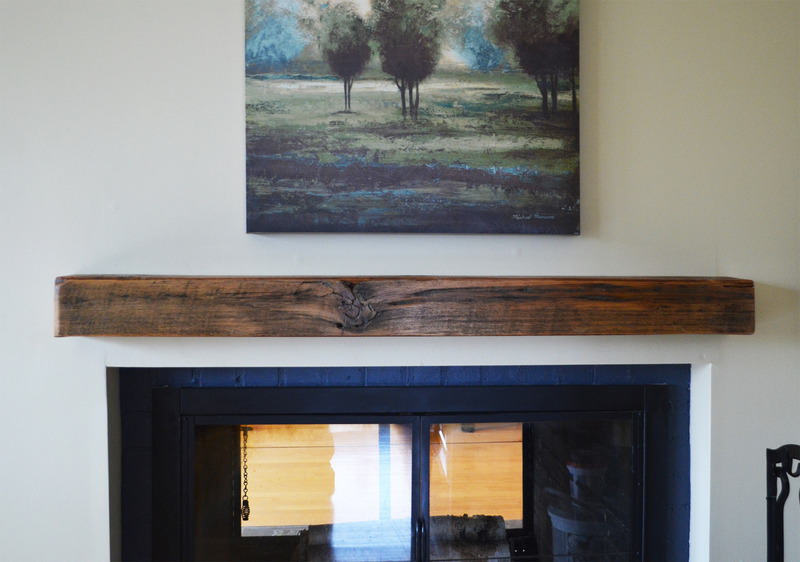 An outer shell hides the shelf supports while creating the illusion of a heavy solid barn beam. After sanding, it was finished with a water based flat polyurethane for protection and easy cleaning. 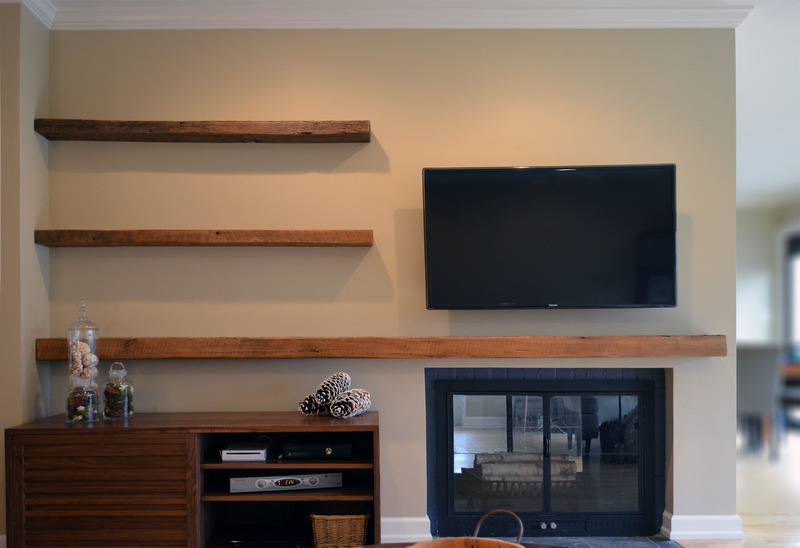 The installation of these shelves is fairly simple. The hidden support pieces are attached to the wall studs and an outer sleeve is then placed over them. Since this was a local customer I installed them myself. Some basic carpentry skills and a few simple tools are needed for self-installation. The starting price for this item as shown is $800 plus sales tax and shipping. Installation is available for Chicagoland area. Since each piece is individually hand made we can create custom orders to your exact specifications. Starting with a base design we have many size and finishing options available. Contact us with your specific needs and we’ll let you know of any additional costs.